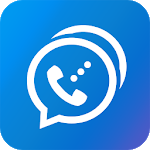 Dingtone, a free calling app allows you to make unlimited free phone calls, send free text messages to anyone. 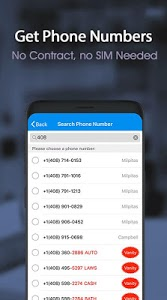 Dingtone also gives you a free number as 2nd line, a real phone number with local area code for free calling and free texting. 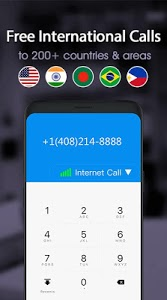 You can call any mobile/landline phone numbers in over 200 countries, your friends don’t need to install the app. - A FREE U.S. phone number that really works! Voice calls are transmitted on Dingtone's high-quality dedicated VoIP network. With HD voice technologies, most free online calls between Dingtone users have superior clarity to existing regular phone service. Free calls and cheap calls are no longer cheap quality! With Dingtone, you can make or receive calls even under bad cellular reception. Dingtone is super simple and fast. You can use it when you have no cell minutes or under bad cellular. 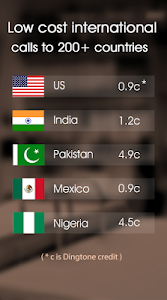 Just download Dingtone and you can make free international calls, send free SMS. 2. New event to get a FREE US phone number, come and join with your friends! 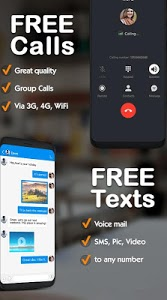 Similar to "Free phone calls, free texting SMS on free number"